~ Combine Orange Juice and Preserves in small saucepan and bring to boil. Remove from heat and stir in Cranberries and Apricots. Cover and let stand. ~ Sprinkle Chops with Thyme, Salt and Pepper and heat oil in large skillet. Add chops and cook 4 minutes on each side or until well browned. ~ Stir remaining Thyme and Apples into relish and serve with Chops. Welcome! I'm a busy Mom of 2 boys who has a passion for cooking, baking, entertaining, writing to-do lists, and anything crafty. 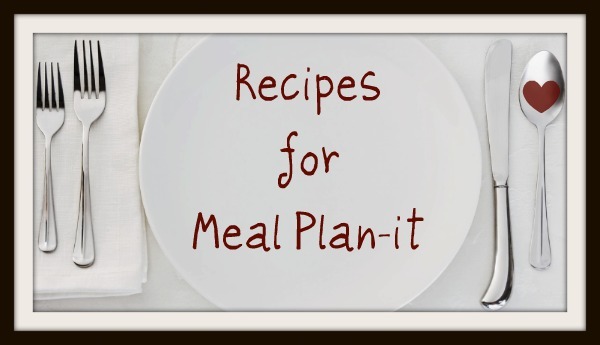 I love the simplicity that meal planning lends to my hectic life and I invite you to join me in my quest to feed my family's tummies and hearts.